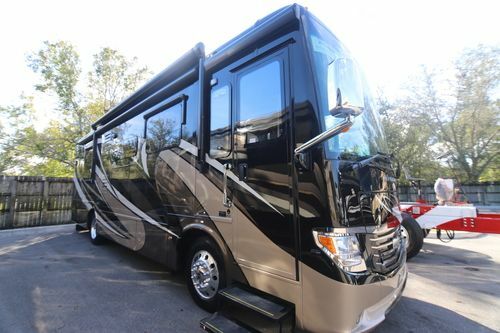 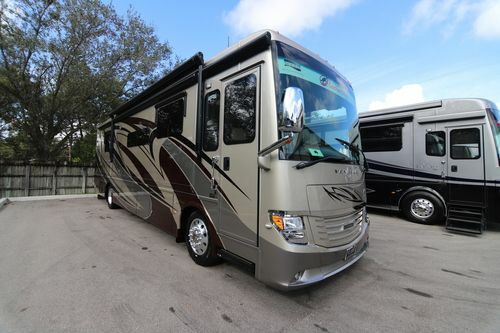 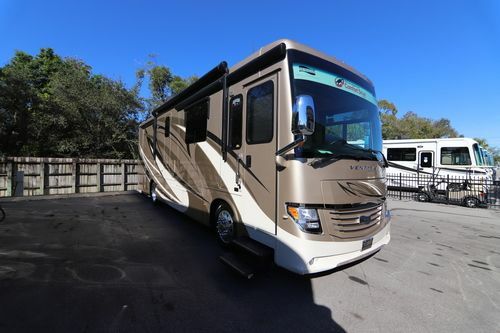 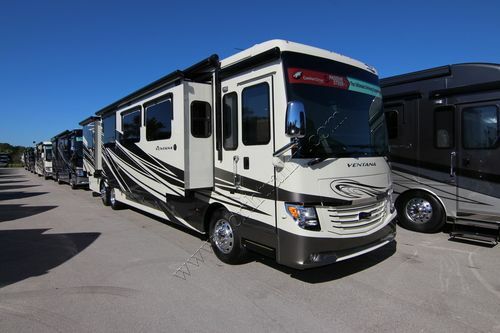 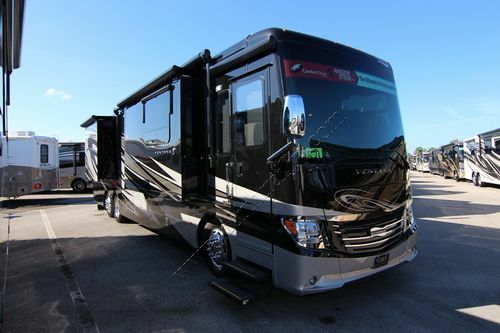 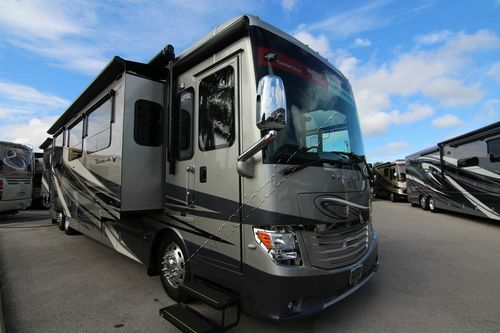 Newmar Ventana luxury motorhomes. 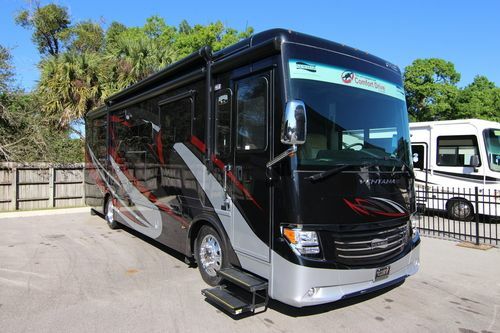 Florida RV dealer. 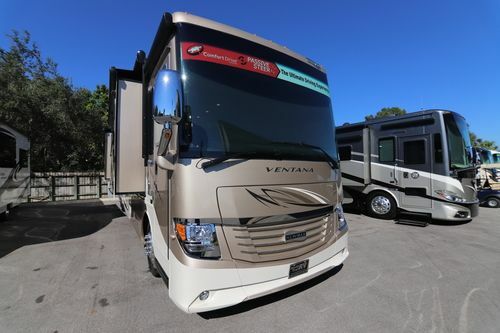 The 2018 Newmar Ventana has 14 floor plans available from 34 to 43 feet. 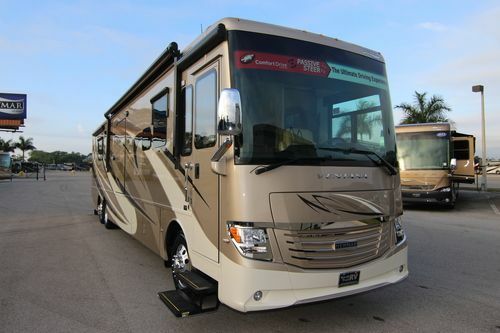 Standard features include a Bose® Solo 5 Bluetooth®-compatible soundbar and all-new porcelain tile flooring with metal and stone inserts. 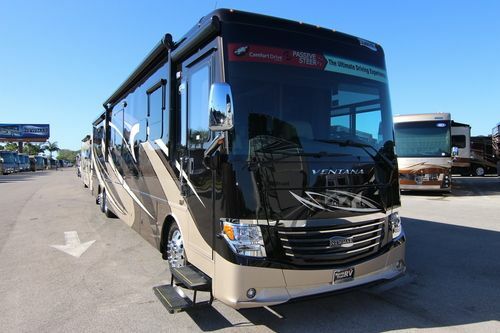 Newmar Ventana is what you want, just the way you want it. 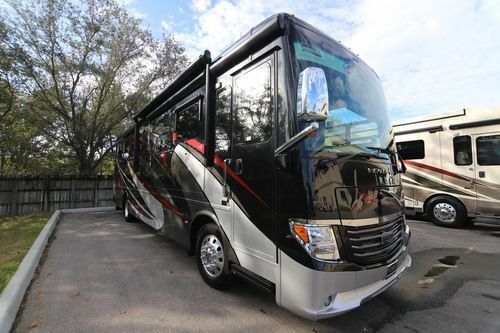 New for 2018, Newmar Ventana now lets you choose from two available in-coach Wi-Fi solutions. 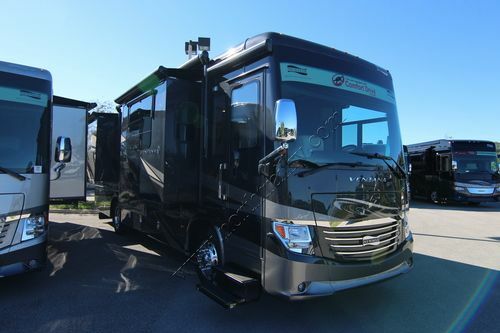 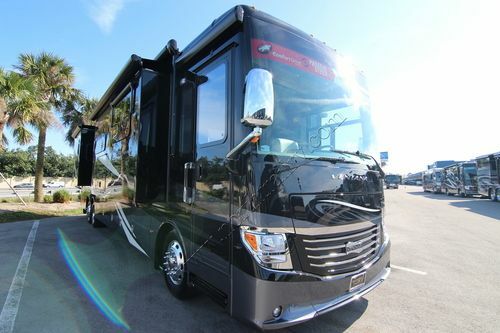 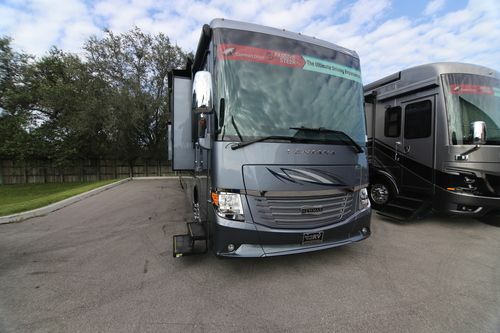 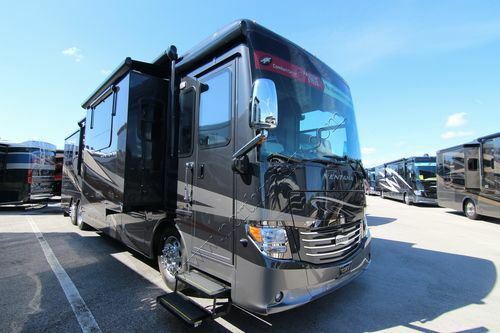 The 2018 Newmar Ventana diesel pusher motorhome is supported by a Freightliner® XCR chassis fit with the Newmar STAR Foundation, 40- to 43-foot Ventana models add a tag axle, Passive Steer technology, and a 400-horsepower Cummins® diesel engine. 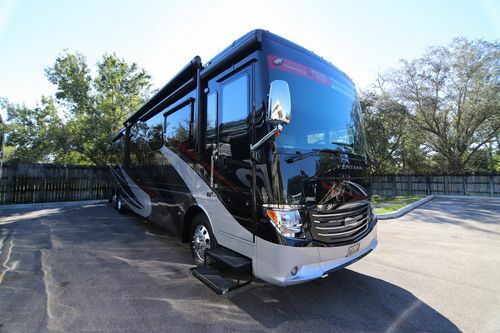 To make each journey even more enjoyable, every 2018 Ventana is equipped with Comfort Drive™ steering and JBL® cockpit audio. 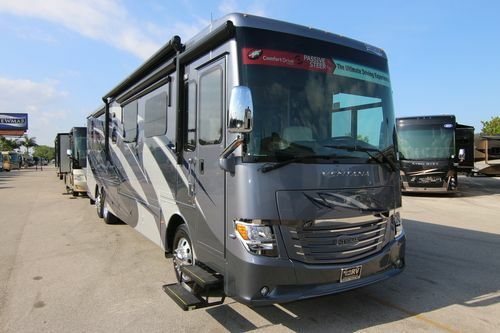 The 2018 Newmar Ventana comes in the following floor plans 3407, 3412, 3436, 3709, 3715, 4002, 4037, 4046, 4049, 4308, 4310, 4326, 4369 and the 4311, the beautiful new wheelchair accessible Newmar Ventana motorhome model. 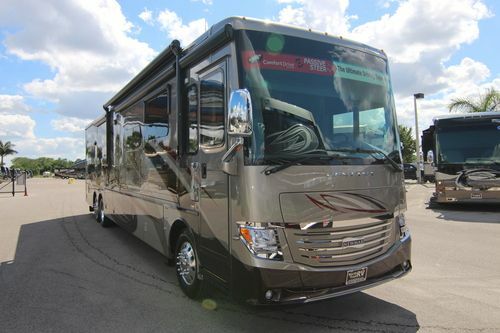 The 2018 Newmar Ventana offers three distinct versions of our Masterpiece™ finish, a full-paint finish applied in house by Newmar artisans. 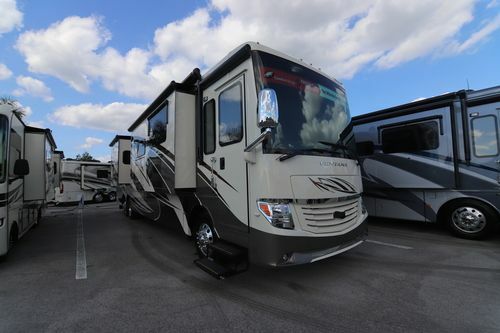 The 2018 Newmar Ventana also lets you select between three stylish interior design options and three wood cabinetry finishes. 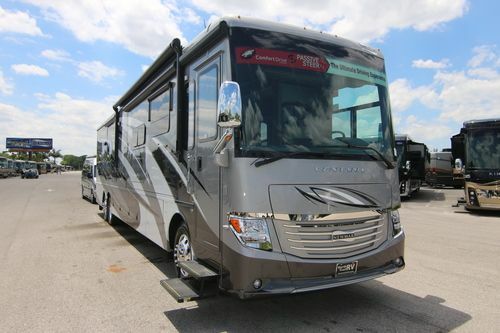 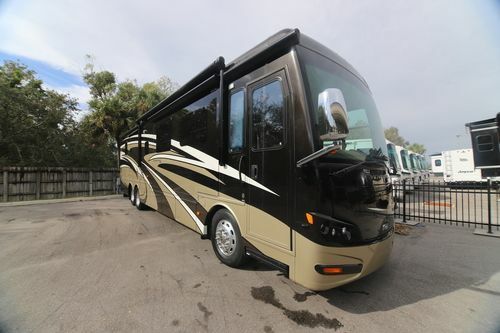 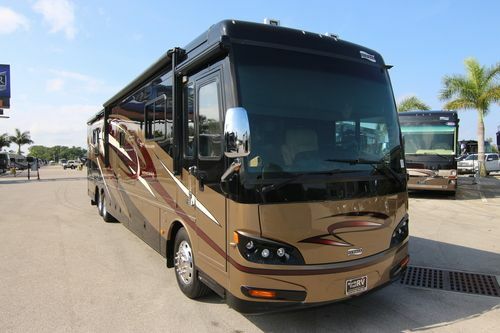 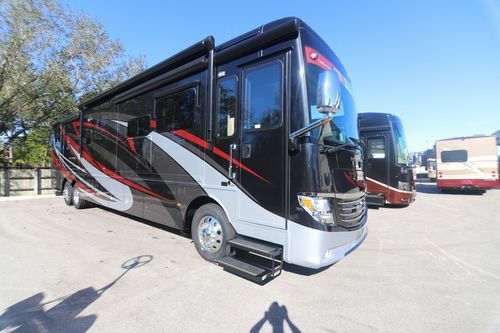 Please view our new & used Newmar Ventana Class A diesel pusher motorhome inventory below.